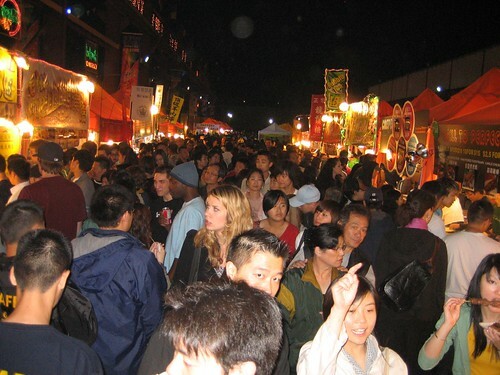 Established in 2000 and now in its 7th year, the Richmond Night Market has become an annual Vancouver tradition. 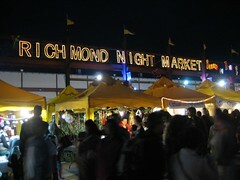 It’s Richmond’s take on the iconic night markets in places like Hong Kong, Macau, Singapore, Taiwan, and Thailand. The Richmond Night Market is here all summer: May 18 – October 8. Open on Friday, Saturday, Sunday, and long-weekend Monday nights. We went on a warm Friday night and it was PACKED. If you suffer from agoraphobia or claustrophobia , you might want to look away. 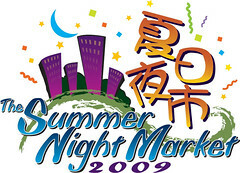 On busy nights, the market supposedly attracts up to 30,000 people. Judging by how long it took me to get from one end of the food area to the other end, it’s not hard to believe. There are other non-food attractions at the market like bootleg merchandise, a stage for music performances, and more bootleg merchandise, but the food is the #1 reason to go (and only reason in my opinion). This ain’t your typical sit-down restaurant. 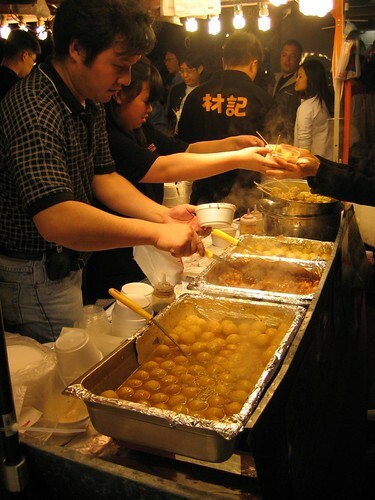 There are dozens of food stands and even more choices. Tasty examples include BBQ meat skewers (pictured above), curry fish balls, stinky tofu, fresh fruit, Korean BBQ, Bubble Tea, and much more. A selection typically ranges in price from $2 to $5, depending on what you order. The coolest part of the Richmond Night Market is being able to watch your food get cooked right in front of you and then being able to snack on it as you make your way towards the next food stand. I was pretty full from dinner and was contempt with ordering a mango shaved ice, which is basically fluffy snow drenched with super-sweet condensed milk and fresh mango. It was absolutely delicious. You can get shaved ice desserts year round in most bubble tea cafes, but they taste so much better at the night market; similar to how Coke always tastes better out of a cold glass bottle. 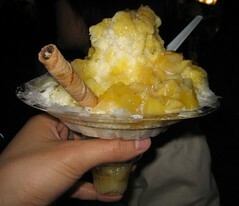 Getting my shaved ice was no easy task though. After wading through the crowds and placing my order, I had to wait at least 10 minutes. There are just too many people. 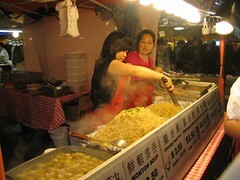 In fact, getting to the Richmond Night Market is no easy task in itself. On a busy night, you have the choice of either parking 20 minutes away for free or queuing up for 20 minutes to have the opportunity to pay $5.50 for closer parking. 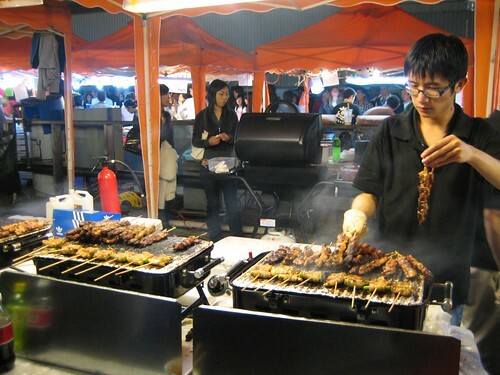 Love it or hate it, you can’t deny the fact that the Richmond Night Market serves up some great food with a side of unique Asian culture. Check it out at least once.